With the photo sessions of the awesome JoAnna, Korynn, and Bailey, (Bailey…? I don’t see any “Bailey” here… That’s right, you can only see her on the Senior’s Blog or on DLP Seniors.) we’re creating a branch of the photography business that will cater just to high school senior portraiture. You’ve all seen typical high school yearbook photos. Same pose, same black wrap, (and in some cases… a feather boa? ), same tux. It’s what has to be done in order to get uniform, consistent photos that will all line up in those little rows in the pages of the yearbook. Doesn’t do much to capture anything of the personality of the senior. Well that’s what DLP Seniors wants to change. Our Senior Style sessions are far more like a fashion shoot than anything else. We don’t put limits on number of locations or on wardrobe changes. The pace is fast and geared to capture the best in our seniors at this very important time in their lives. 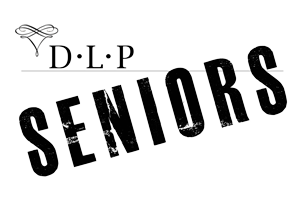 Pop over to DLP Seniors and see what happens when we get seniors out of the little boxes.